Safety First: Are There Any Contraindications to Nexium? 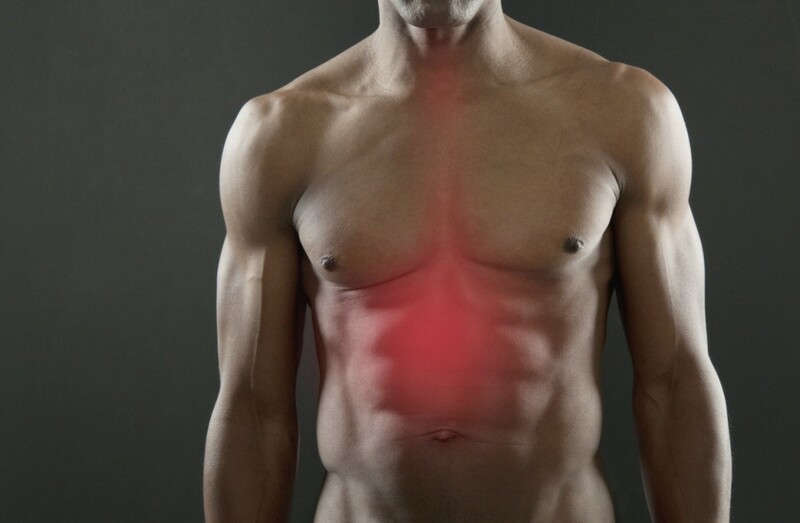 Severe heartburn is something that should never be taken lightly, especially when it persists. This condition can be not only extremely painful but also dangerous because prolonged influence of stomach acid on the esophagus is detrimental. Fortunately, there are drugs that don’t just temporarily remove the uncomfortable sensations that come with acid reflux but are able to treat the condition. Nexium is one of the most recognized medications for this purpose, as it is both safe and highly effective. 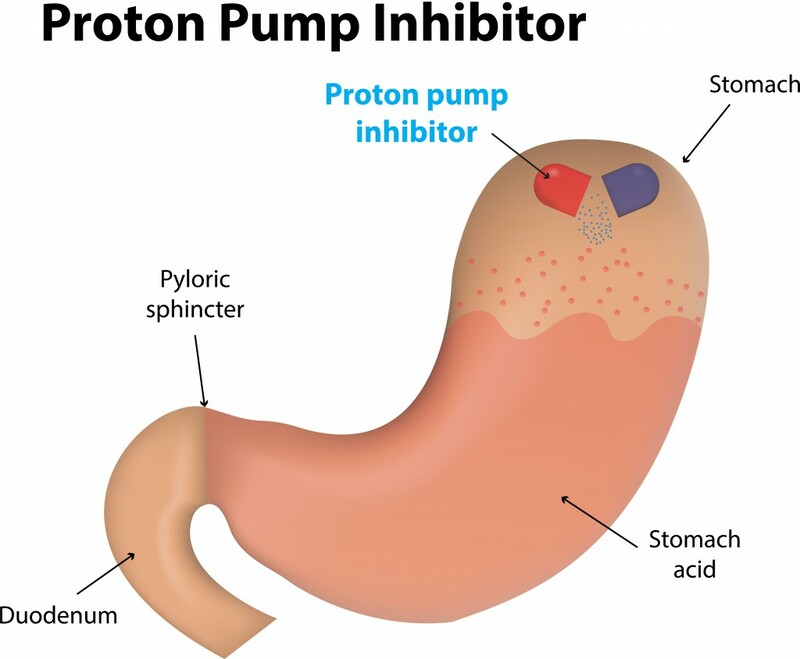 Nexium is a medication belonging to the group of proton pump inhibitors and it is designed to reduce the amount of acid produced in the stomach. Excessive stomach acid is quite a widespread gastroenterological problem, but it is important to deal with it as soon as possible so that it doesn’t become worse. Nexium active ingredient, esomeprazole magnesium, works by deactivating some of the stomach “acid pumps,” which leads to the improvement of the condition. Gastroesophageal reflux disease. Those suffering from acid reflux, which is the term that is used most often to describe this condition, experience a number of symptoms that result from the contents of the stomach being collected in the esophagus. The most common symptoms that patients experience because of this health issue include heartburn, chest pain, bad breath, and the taste of acid in the mouth. Generally, GERD is diagnosed in patients who suffer from heartburn for 2 or more days a week and the symptoms don’t go away after changing a diet. Zollinger-Ellison syndrome. In the case of this illness, the increase in the production of stomach acid occurs as a result of the neuroendocrine tumor. Because of the tumor, there is too much gastric acid produced in the body. Erosive esophagitis. As opposed to some medications that only remove the symptoms, Nexium can also be used to heal the esophagus that was damaged over time by the influence of stomach acid. It should be noted that Nexium is not a medication that is prescribed to immediately remove the symptoms of heartburn but it is used to treat the actual cause of the problem over time. In some cases, medical specialists may prescribe this medication to prevent the development of ulcers caused by the use of nonsteroidal anti-inflammatory medications or the influence of H. pylori. There may be some other Nexium uses, but they should be determined by a doctor. Forgetting to consider contraindications before taking a certain drug is never a good idea. It’s important that during your doctor’s appointment you mention all the health issues that you may have as well as any recent surgeries. In such a way, your medical specialist will be aware of your situation and be able to determine whether Nexium is the right drug for you. Just like with any other medication, the first contraindication to taking Nexium is an allergy, which is why you need to check the list of active (esomeprazole) and inactive Nexium ingredients before consuming the pills. If you have previously experienced an allergic reaction to the drugs containing rabeprazole, omeprazole, lansoprazole, or other similar options, you should not consume Nexium. Besides allergies, there are some conditions that you have to be careful with so that you don’t worsen them by taking Nexium. Depending on the severity of your health issues, you doctor will be able to decide whether taking this medication is reasonable. When it comes to Nexium and pregnancy, it is unclear whether the medication can affect the fetus or pass into the breast milk, which is why you should always inform your medical advisor if you are pregnant or become pregnant while taking this drug. Drug interactions are unavoidable, as there are numerous medications that contradict one another when it comes to their influence on the body. To make the treatment successful, you need to make sure that the drugs you are taking won’t interact with one another in a harmful way. You should provide your doctor with a list of drugs and supplements that you take so that it can be approved and you can start taking a new medication safely. You should not consume the mentioned drugs along with Nexium to avoid unwanted adverse reactions. Besides interacting with the mentioned drugs, the consumption of Nexium can negatively affect the absorption of certain medications that require a sufficient amount of stomach acid. You should also stay away from taking medications containing omeprazole, as this substance it similar to the active component of Nexium, and it means that it can lead to the side effects similar to overdosing. Another thing you need to remember is that consuming Nexium may affect the results of certain laboratory tests, so you should always inform the professionals performing the tests that you take this drug. Taking the right dosage of the medication ensures that you get the best results while also avoiding potential adverse effects that can develop as a result of overdosing. Before starting your treatment using Nexium, you should consult a medical professional so that they are able to assess the state of your health. The drug comes in capsules that have to be consumed whole, without chewing or crushing, and with plenty of water. The medication should be consumed approximately an hour before a meal. As this medication is used to treat the problems with stomach acid you should always make sure to take the capsules before meals. Those who find it difficult to swallow the capsules also have another option. All you should do to take the drug is open the capsule and sprinkle its contents onto a spoon of pudding or applesauce. Afterward, you should swallow the mixture without chewing. It’s important that you don’t save it for later use and eat immediately. Nexium 20 mg and 40 mg are two of the most prescribed dosages to adults. Those suffering from erosive esophagitis are recommended to consume either 20-mg or 40-mg Nexium pill once a day for the duration of 4-8 weeks. When it comes to the maintenance, the dosage that is prescribed is 20 mg and it should be taken as long as determined by a medical professional. When it comes to the use of this drug in children aged 1-11, they are usually prescribed a lower Nexium dosage of 10 mg, but the 20-mg dose is used in some cases depending on the weight of a child and severity of the condition. This medication can be used in those under 1 year old and the dosage should also be chosen according to the weight of a child. As it was mentioned previously, Nexium can be used to treat H. pylori in combination with other medications. The standard dosage that is used to treat the bacteria is 40 mg for 10 days, but it may be changed depending on which other drugs you have been prescribed. According to the Nexium reviews, the majority of patients that took this medication experienced healing of the erosions after 4-8 weeks. It doesn’t matter how safe the drug is, there is always a risk of side effects, which is usually nothing to be worried about if you carefully follow all the safety requirements and don’t increase the dosage of the drug without consulting a doctor. Allergies are quite common reactions to the medications, especially when people take them for the first time without looking at the ingredients or when they are completely unaware that they are allergic to something. If you experience the symptoms that could be linked to an allergy, such as difficulty breathing, swelling of the tongue/lips/face/throat, hives, redness, or dizziness, you should stop taking the drug immediately and get medical help. A more serious side effect that can be experienced when taking Nexium is the drop in the magnesium blood level, which can be experienced in the form of muscle spasms and changes in the heartbeat (slow, irregular, or fast). If you happen to experience any of the mentioned side effects regardless of their severity, you should inform your medical advisor immediately as you may need to use a different drug or dosage. In the cases when the adverse reactions are severe, it’s essential to get emergency medical help without hesitation. There is no doubt that finding more affordable options of drugs is always pleasant. Fortunately, these days there appear more and more generic alternatives to the branded medication as the patents protecting these drugs expire. When it comes to Nexium generic, a lot of people wonder whether the generic version of this drug is just as effective as the branded product. The answer is definitely yes, but just like with anything it’s important that you purchase generic Nexium from a reliable provider so that you can be sure that it’s not a fake drug. All the medications that can be purchased from Online Canadian Pharmacy www.canadianhealthmall.com, including Nexium, are of the highest quality. Nexium price is a single major difference that you will notice when comparing the branded and generic drug options. When it comes to the ingredients used to make the capsules as well as their proportions, the drugs are identical. They are intended to deliver the same effect, which means that you won’t notice any difference in how they affect your body. At the same time, there will be a difference in the visual presentation of this drug, as the design is protected by the copyright law. In such a way, you shouldn’t be worried or surprised when you see that the color of the capsules is different or there is a different image on a packaging, as this is something required by the law. Generic Nexium cost allows people to save a lot of money, which is especially great in the case of this drug, which requires a prolonged treatment to experience the effect. The drug should be stored in a convenient place at the room temperature where it cannot be affected by sunlight, heat, and moisture. You should keep Nexium in its original packaging and make sure that you do not consume the drug after its expiration date or if the capsules look different. Another thing you should take care of is to keep the drug away from children and pets so that they don’t consume it accidently.